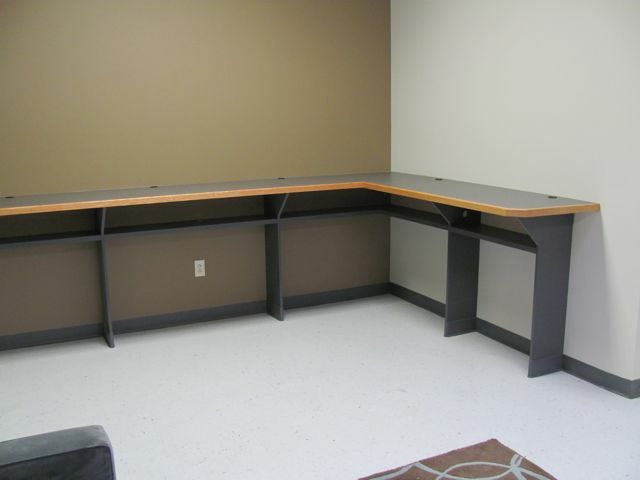 Work space doesn't have to be ordinary. 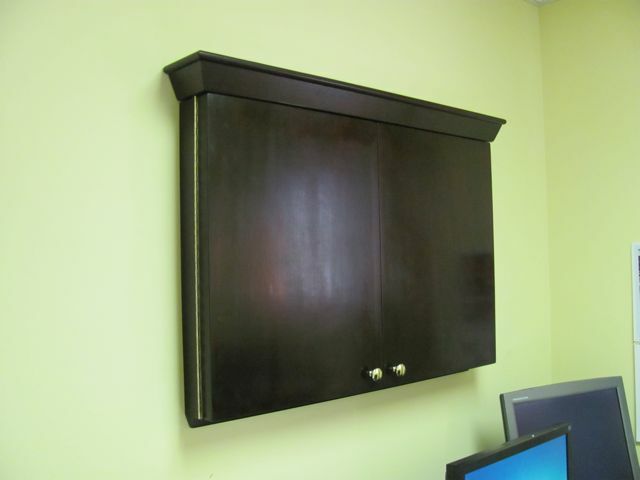 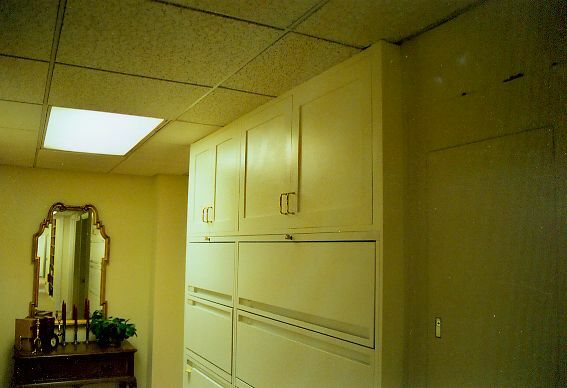 With custom cabinets, countertops, and a well-planned office environment, we can be more creative and productive. 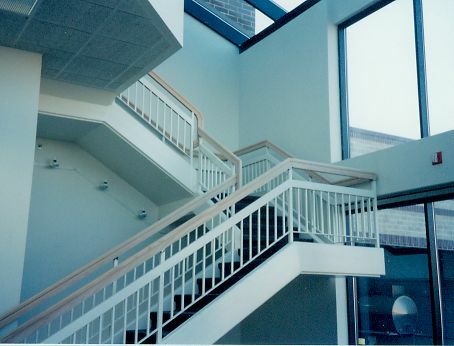 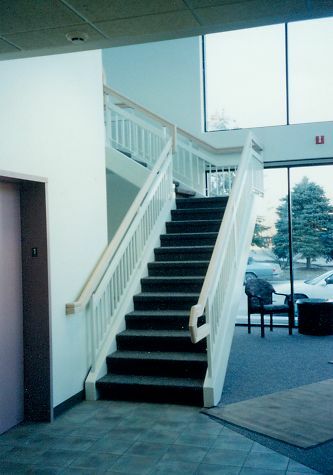 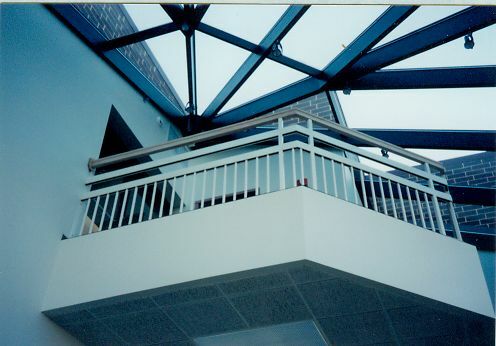 An office stairwell features Red Oak rails in octagonal profile, adding continuum to the geometry of the space. 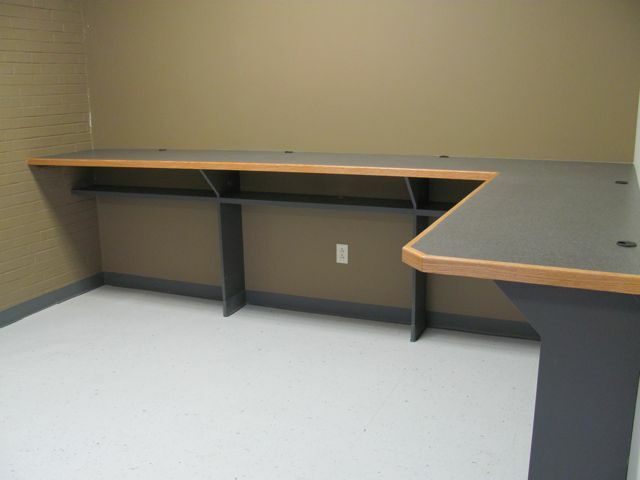 Expansive computer stations accommodate technology and personal space in a graphic arts studio. 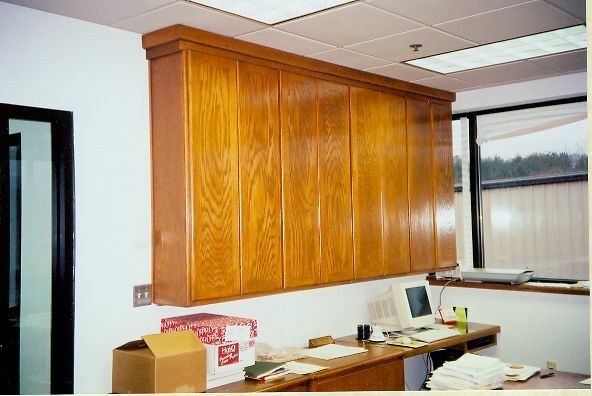 Solid wood fixtures match existing office furniture, giving the work space a coordinated look. 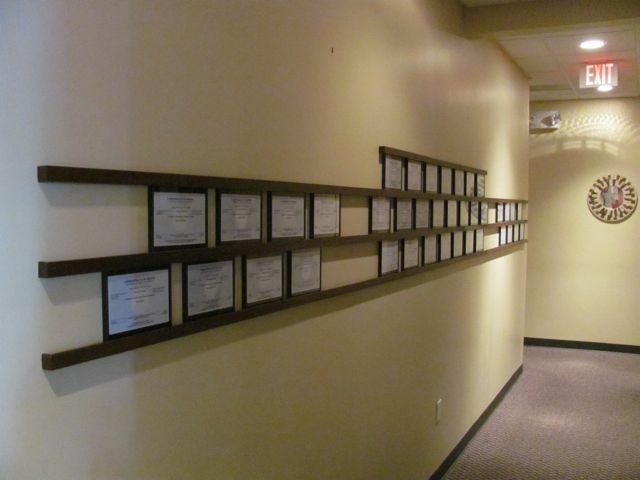 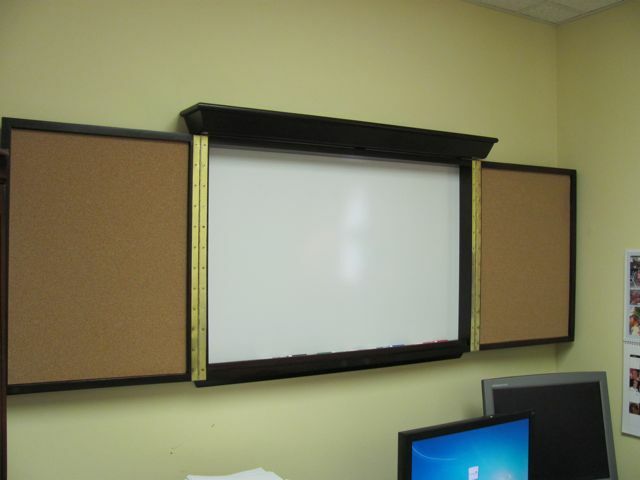 Give the Conference Room a touch of class with a multi-function bulletin board. 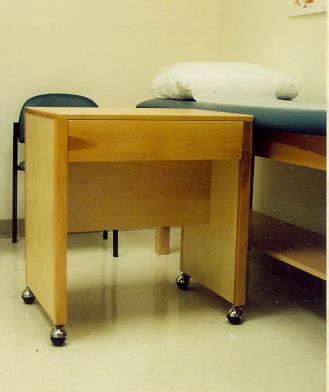 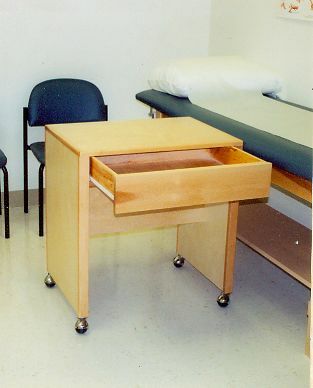 Exam Room fixtures with a natural finish can make a visit to the doctor more comfortable. 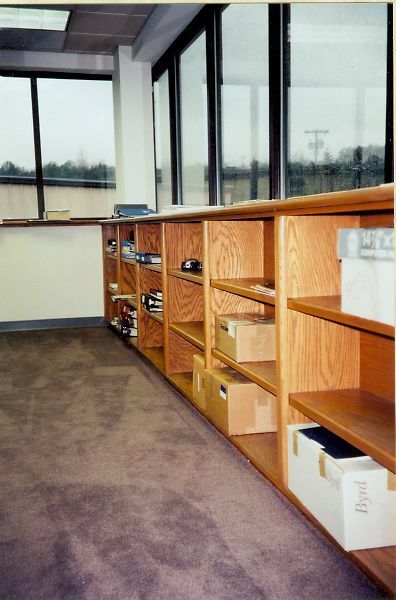 Extra storage space blends with the office theme. 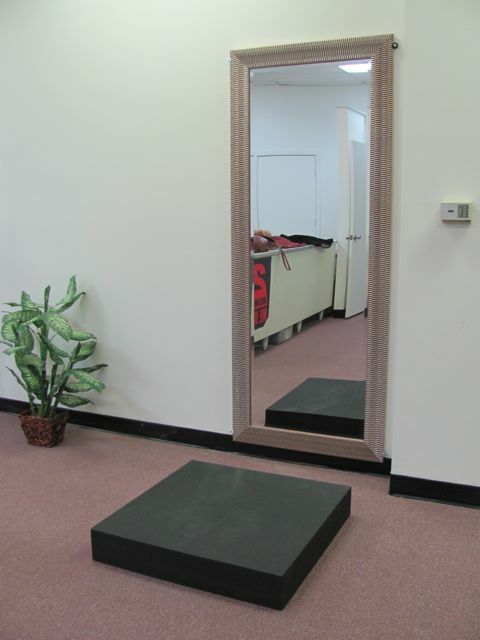 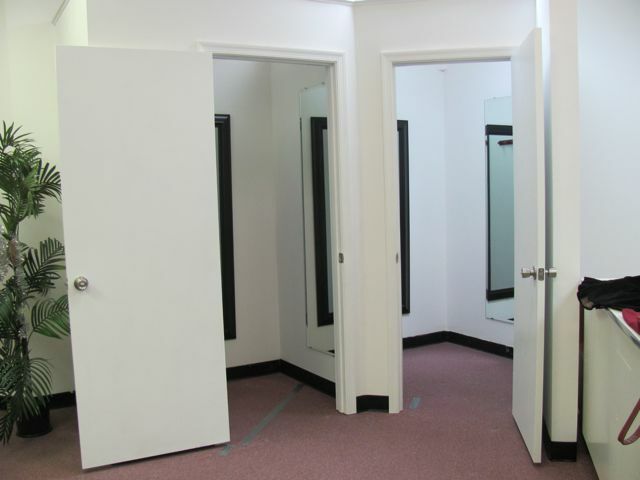 Even the Tailor's space should have aesthetic appeal.